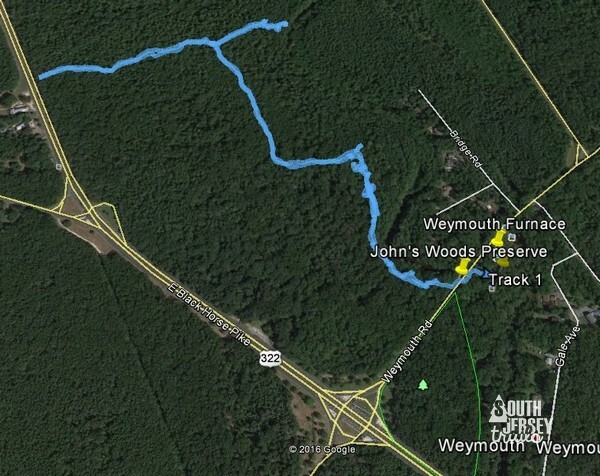 Parking – Good sized lot at Weymouth (can fill in warm weather with the canoe put-in there), have to walk across for the John’s Woods Preserve. Dog friendly? Dogs must be on a leash. Facilities? 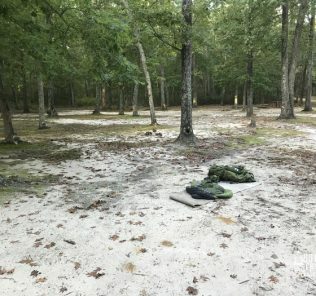 : No facilities in either park. Markings – Some unofficial markings way down the trail in John’s Woods, but nothing official or remotely consistent. 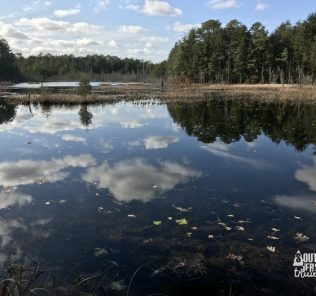 So Weymouth Furnace County Park in Atlantic County is one of the best spots in the pine barrens, which is certainly no secret. 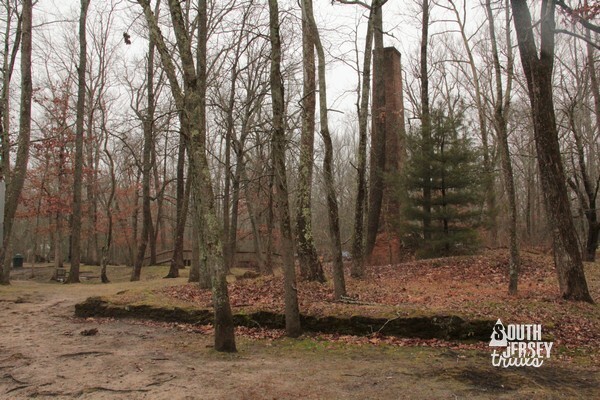 A furnace and a forge were both in operation here by 1802, and were taken over by Samuel Richards (of the famous Richards iron family of the pine barrens who owned, among other places, Batsto and Atsion. Indeed the mansion at Atsion was built by Samuel Richards). 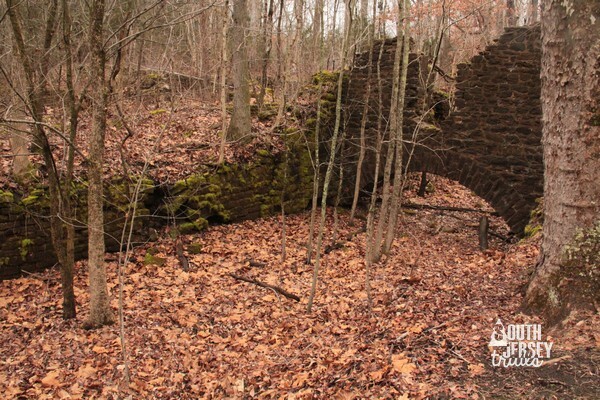 After the furnace and forge closed down, a pair of paper mills were built on the location, the picturesque ruins of which are the ruins seen today. 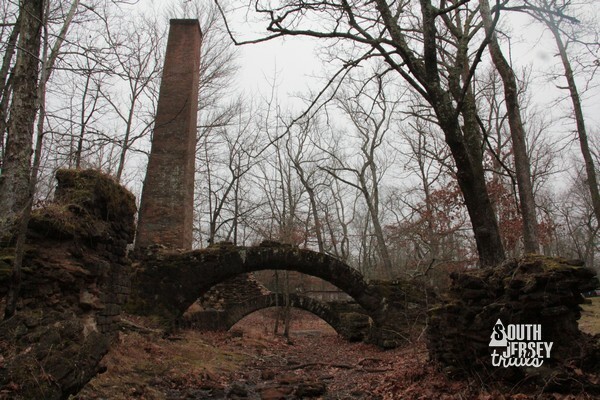 There are no trails here, but this is a GREAT spot to wander around to look at the ruins of the paper mills. Please don’t be a jerk, stay off of the ruins and stay out of the fences! I want to be able to drag my poor, innocent grandchildren here to be bored out of their minds some day. While there is never a bad reason to stop at Weymouth, that wasn’t why I was here this time. 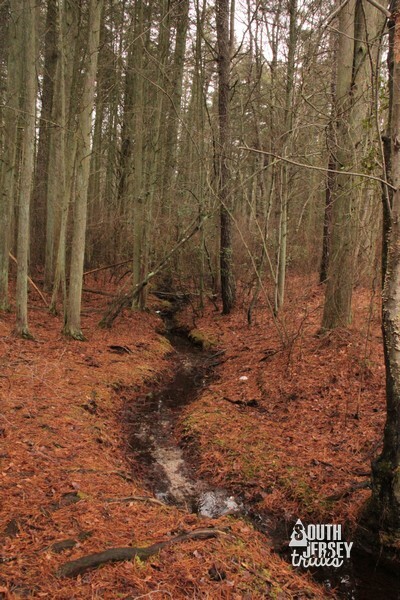 I was here because across the way is John’s Woods Preserve, donated by Marian Trescher Waldhausen in 1993 and named for her father John Henry Trescher (Source: New Jersey Natural Lands Trust.). 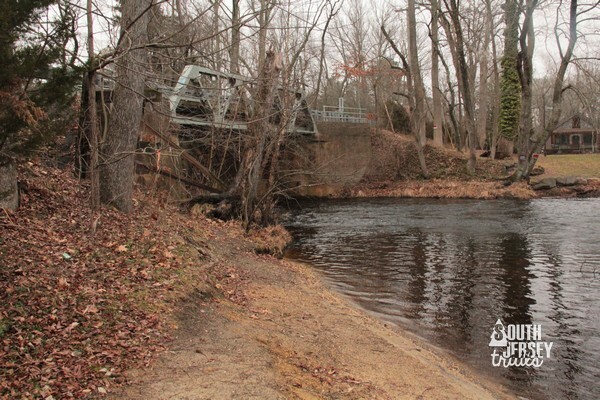 This preserve includes the site of the old mansion house for Weymouth, which sat along a lake as big as nearby Lake Lenape, which is really hard to imagine! There is no parking for the preserve, or signs, so leave your car in the lot at Weymouth. Walk out to the blue historical sign. 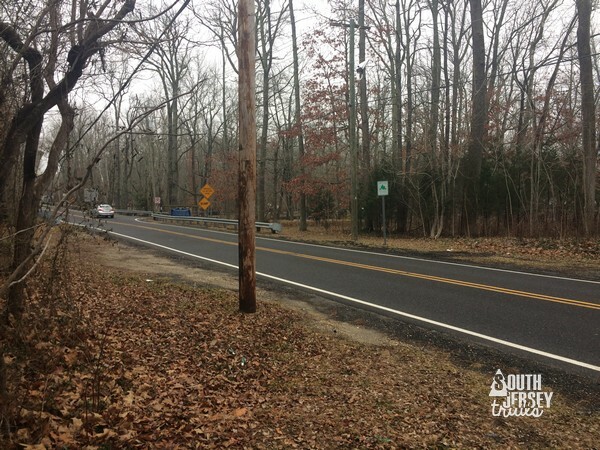 Then walk along the guard rail, crossing Weymouth Road at the end of said rail. 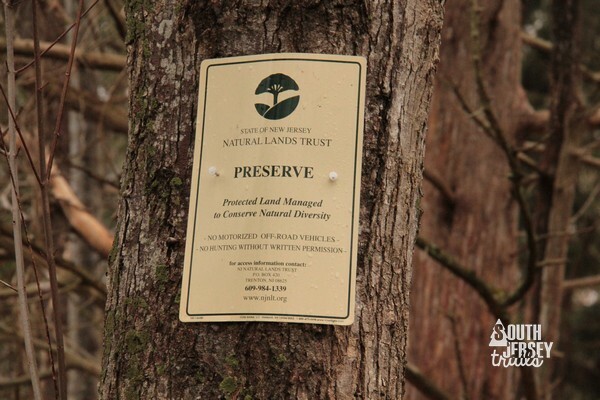 Catty corner from the rail will be the trailhead with a small preserve sign on the tree. From the end of the guard rail. See this? You went the right way. Looking back from the trailhead toward the Weymouth Furnace Park. 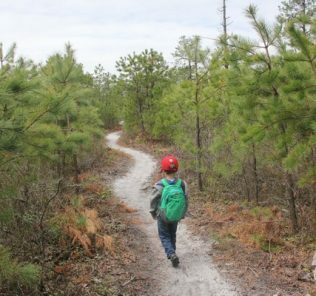 Once on the trail, the first section is really easy to follow. 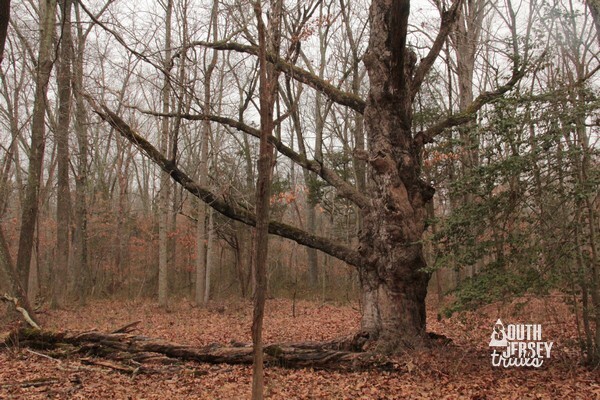 It follows an old road or driveway back deep into the woods. 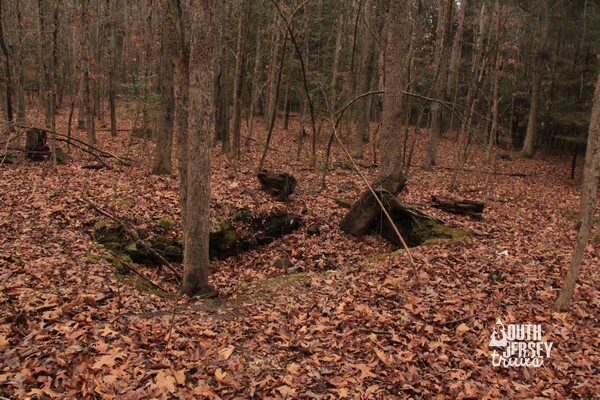 Along the way, you’ll spot some nice nonnative trees, as well as cellar holes and the remains of the village of Weymouth. There are no trail markers, but you won’t need them. After passing the ruins, the trail eventually narrows down, but is still pretty clear. At a certain point, you’ll reach a four way intersection. Here, there are some yellow psuedo-blazes. We continued straight here. Not a great panoramic shot, but can see the four way split and the yellow blaze. 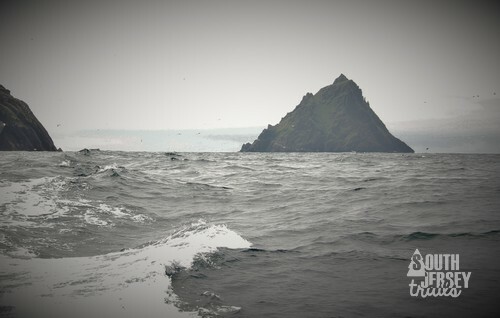 As Micky would say to Rocky, we hit the one in the middle. This trail became pretty tough to follow as it approached the Black Horse Pike, but we managed to follow it all the way out to that road, from which the hub cap pyramid could be seen. From here, we backtracked to the four way intersection again, this time turning left toward the river. 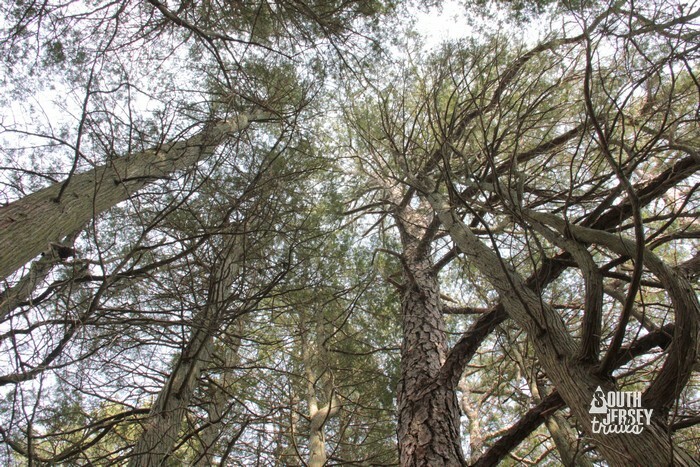 The trail wasn’t clear, but had paint, so we followed it down to a view of the cedar swamps. 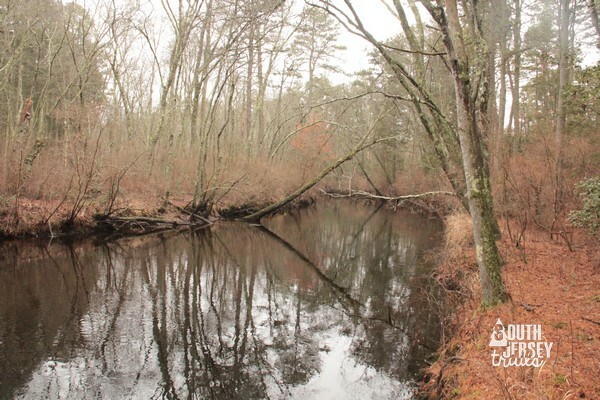 From there, we managed to follow it to the edge of the river, where a pretty little stream joined the Great Egg Harbor River. 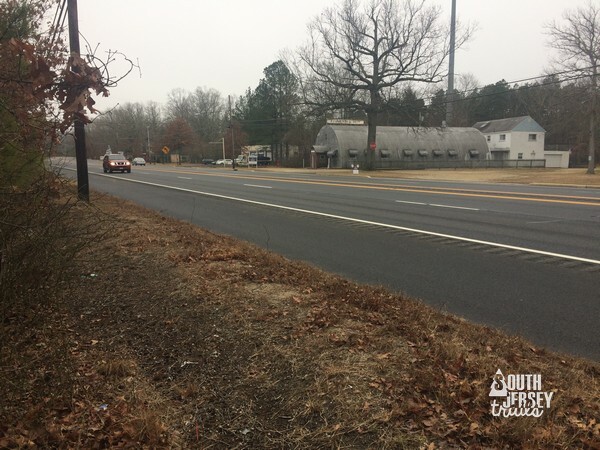 We then backtracked to the four way intersection again, where we opted to go the way we had started. While we didn’t take the last option, I had a strong feeling that it led out to the Black Horse Pike. The way back was easy, as the trail quickly became a road again. We noticed even more cellar holes on the way out than we had on the way in. Then it was back to the car for the ride home, where the two guys got to take a well deserved nap. 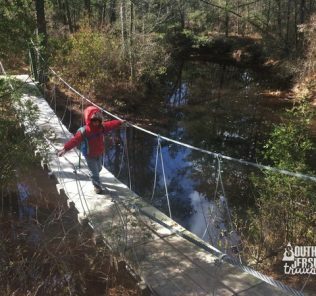 Thank you to James Pullaro of the Jersey Pine Barrens Facebook group for the heads up that this trail even existed! 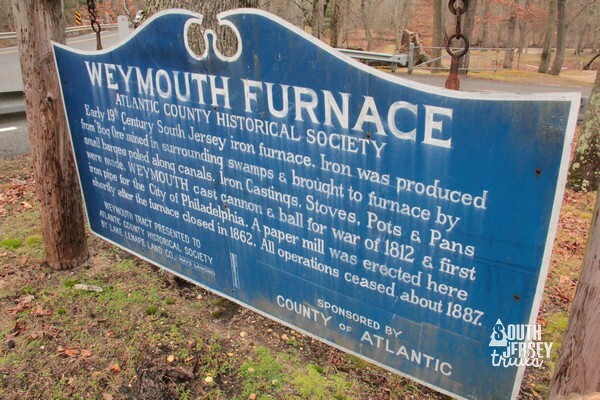 While googling, I also stumbled across videos of the Weymouth Paper Mill and the hike at John’s Woods Preserve by Barry of the Old and Historic Places in South Jersey Facebook page fame (or further back, the old Ghost Towns of Southern NJ yahoo group). Nearby: Estell Manor County Park is nearby with really awesome trails, or we did this the same day as doing the nearby Egg Harbor Township Nature Reserve. trails unmarked, sometimes seem to just disappear. 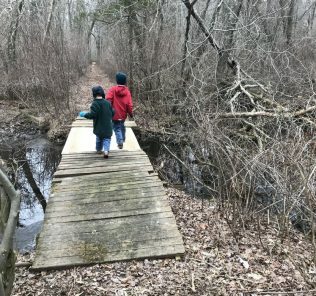 The trail itself isn’t spectacular, but if you are into history, this is a super interesting one to do to explore the history of old Weymouth.